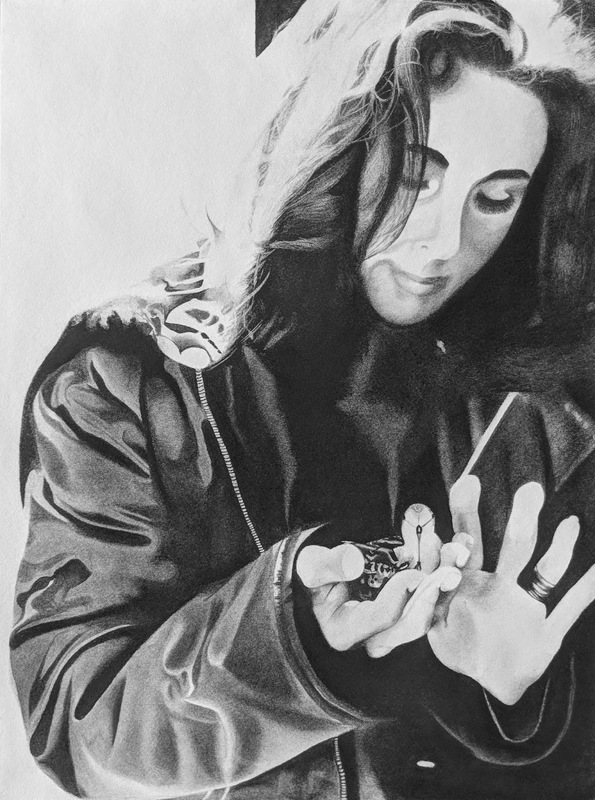 A Drawing Media portrait by a 20-year old University of Georgia student, Warrior by Isabelle Sumichrast is announced by Kathy Ireland, Chair, CEO and Chief Designer of kathy ireland® Worldwide, from several dozen entries received through an invitation to submit original art depicting legendary actress, humanitarian, philanthropist and HIV/AIDS crusader Dame Elizabeth Taylor. Invitation for entries began in December 2017, with art submitted by young artists from the U.S. and around the globe. "Elizabeth is a great influence in my life. A beloved friend, who became family and mentor, and who taught me and so many others about what it really means to have the heart of a warrior. A beautiful and gentle soul and yet a fearless and powerful activist who did not let anyone intimidate her into abandoning her passionate crusade to find and provide treatment, and one day a cure for HIV/AIDS. 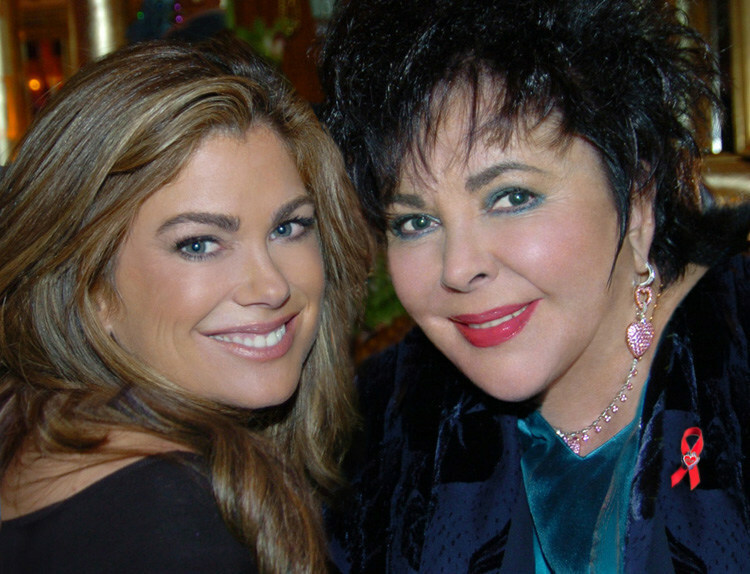 This annual art event, underwritten by kathy ireland® Worldwide, is a way for us to encourage the Gen Z generation to research, connect and explore this woman who was larger than life, learn from her courage and appreciate the tremendous contribution she still continues to make to humanity," Ms. Ireland, who is an Ambassador for the Elizabeth Taylor AIDS Foundation, (Contributions may be made to etaf.org. 100% of all contributions are sent to people in need, said. All costs of ETAF are paid by the Elizabeth Taylor Trust). "Isabelle Sumichrast's portrait of Elizabeth truly captures the essence of who Elizabeth is – a woman without limits, a true humanitarian, and an unmatched icon whose beauty and fame are great gifts to humanity. The art piece is pure genius. It touched all of us so deeply." "Two kathy ireland® Worldwide partners are participants in the inaugural program," Stephen Roseberry, President and CMO of kathy ireland® Worldwide and SWC (Sterling Winters Company), a kiWW® subsidiary, said. "Bendon Publishing, one of the world's largest publishers and purveyors of toys for young people. Bendon and Kathy have collaborated in philanthropy for some time including a ten million dollar gift to Toys for Tots; and Larson-Juhl, a Berkshire Hathaway Co."
"The selection of Warrior by Isabelle Sumichrast was based on expert input from Ms. Ireland, who purchased and added the painting to her art collection; kiWW's Global Creative Director, Jon Carrasco, as well as the curators of Ms. Ireland's personal art collection." Ms. Ireland is a strong advocate and supporter of what is commonly referred to as STEM education (Science, Technology, Engineering, & Math), to which Ms. Ireland also added Arts and Athletics and refers to as STEAMA. She serves on the boards of several academic institutions and is active in various global education initiatives. Ms. Ireland is the recipient of an honorary doctorate in Humane Letters from California State University and was recently honored with the Champion of Freedom Award by Hardwired Global, a nonprofit organization promoting the freedom of thought in various parts of the world.